St. Winifred's Mission Church, Carr Vale. Photographs copyright A.N. Bridgewater. Many thanks to John Gillway for letting me in. 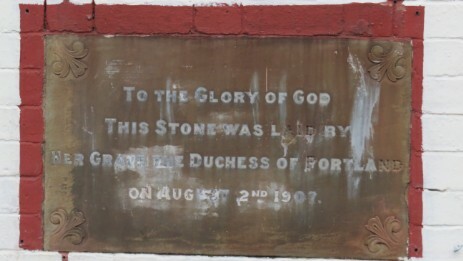 Opened in 1907 and closed around 1964 as the sale of the organ suggests it was no longer in use. It has since been used as a garage and filling station, pet food shop and a carpet shop. It is now empty. PEDAL 16 Bourdon 8 Bass Flute 3 unison couplers. 2 composition pedals to Great, 2 to Swell. Tracker action to manuals, pneumatic to pedals. 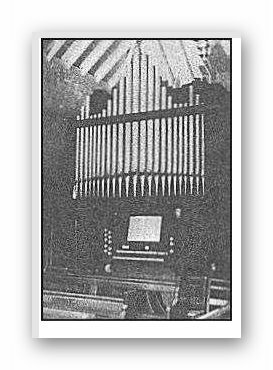 In 1964 the organ was moved by Willis to Holy Cross Church, Upper Langwith. In 1987 it was overhauled by Chalmers & Hyde (Dronfield), who removed the Gemshorn and Cornopean from Swell and substituted a Principal and a Fifteenth. *Unable to link this article to a holder as the web site has been closed down for a while now.